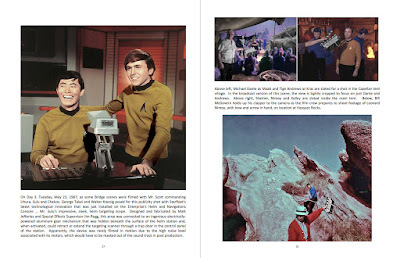 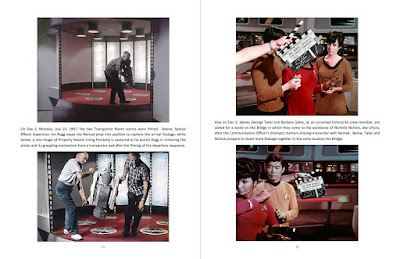 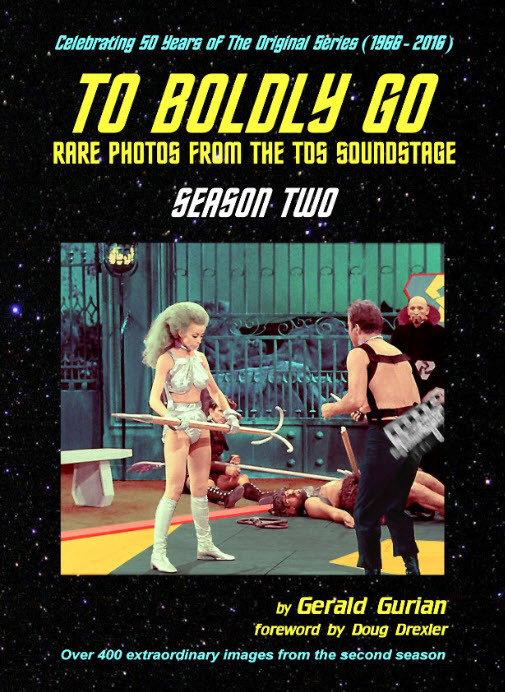 Star Trek Prop, Costume & Auction Authority: Special Report: Introducing the book "To Boldly Go - Rare Photos from the TOS Soundstage: Season Two" - Now Available! 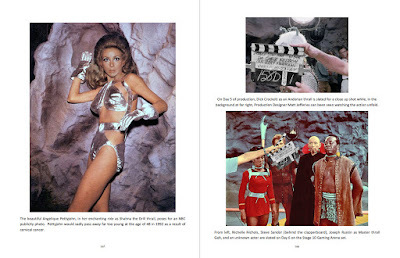 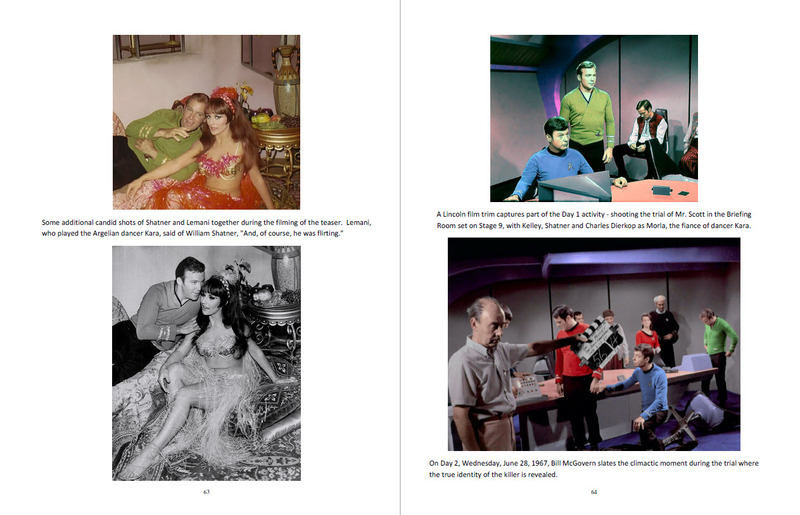 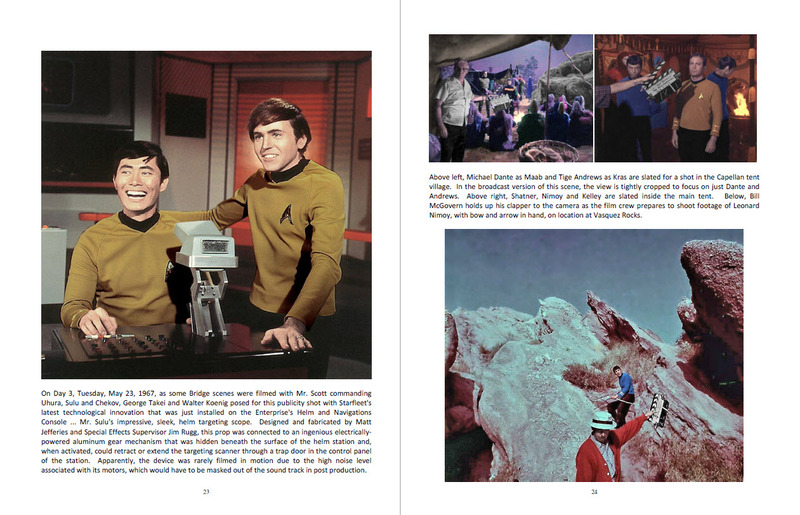 Special Report: Introducing the book "To Boldly Go - Rare Photos from the TOS Soundstage: Season Two" - Now Available! 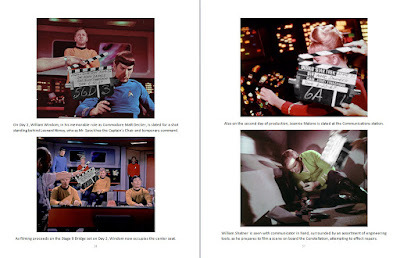 The "To Boldly Go" second season book is a 232 page, full-color interior, softcover and contains a little over 400 rare photos - the majority in vivid color - on large 8.5" x 11" pages, displayed in a similar format to the first season edition. 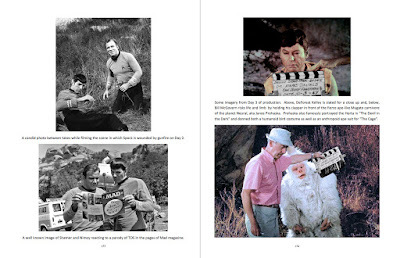 Considering both the Season One & Season Two publications together, over 700 rare, behind-the-scenes production shots, NBC publicity images and candid stills from the making of the first 55 episodes (including the pilots) of TOS are now presented in total! As was the practice for the first book, I personally digitally restored all of the rare images that appear in this edition, with the specific goal of recreating the bold and vivid colors that were present in the original episode broadcasts. These rare photos, which originate from my personal collection that is over four decades in the making - beginning in the early '70s with the purchase of about 700 to 800 film clips from Gene Roddenberry's Lincoln Enterprises TOS fan mail order store - have been arranged into individual chapters for each episode; and are accompanied by usually brief but sometimes quite extensive descriptions about the filming or history of the related scene. 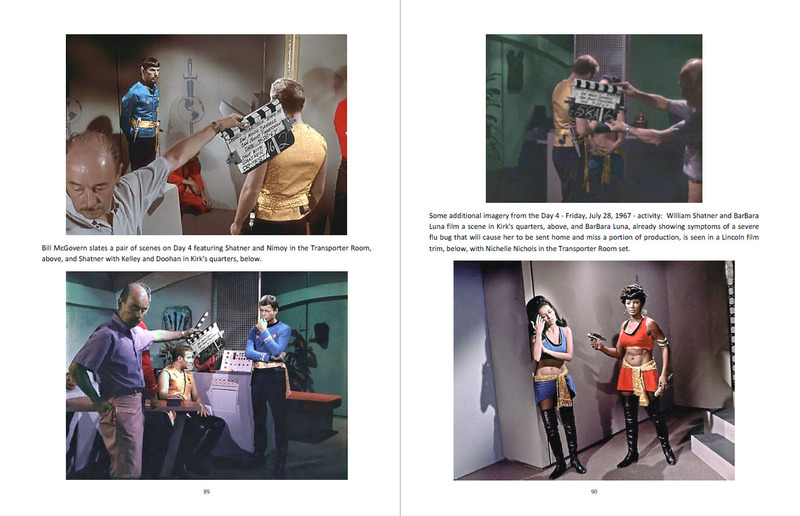 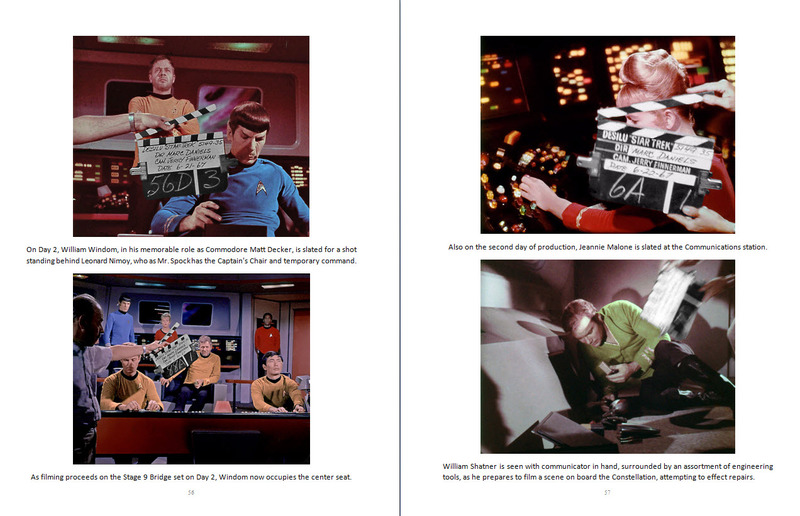 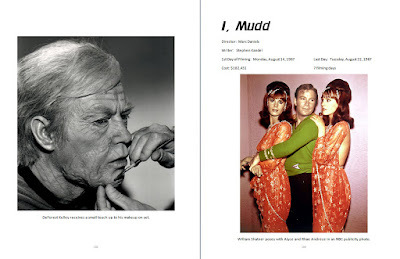 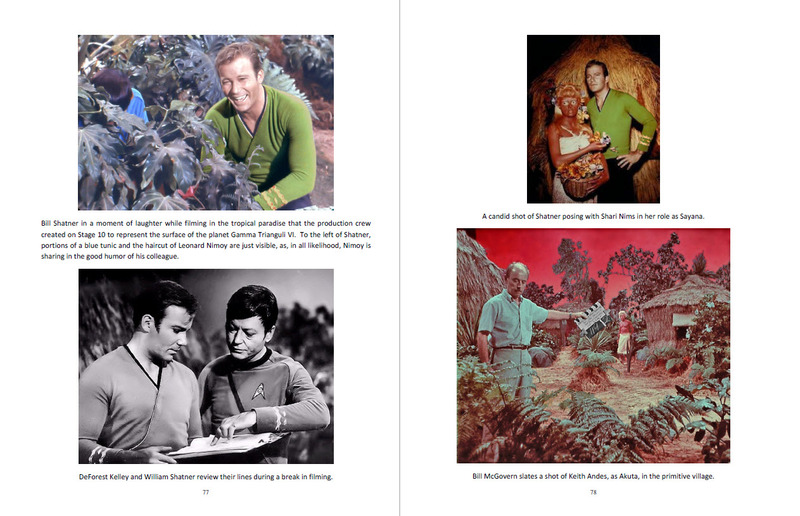 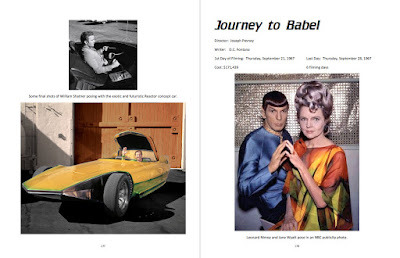 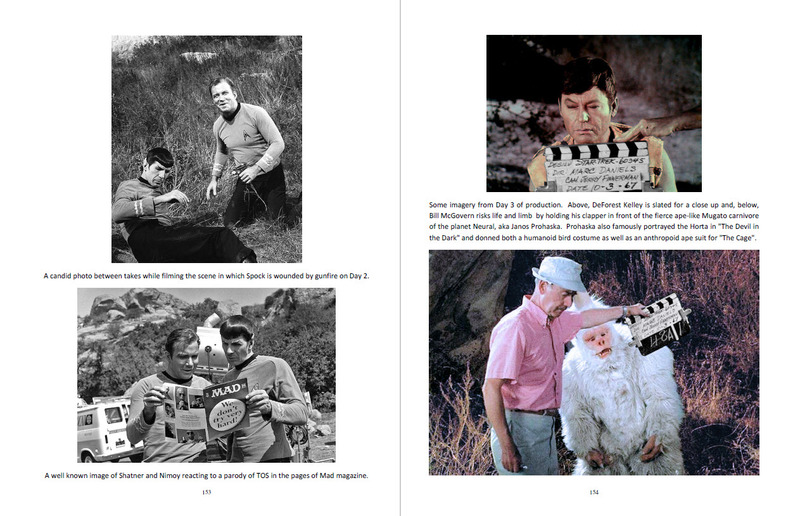 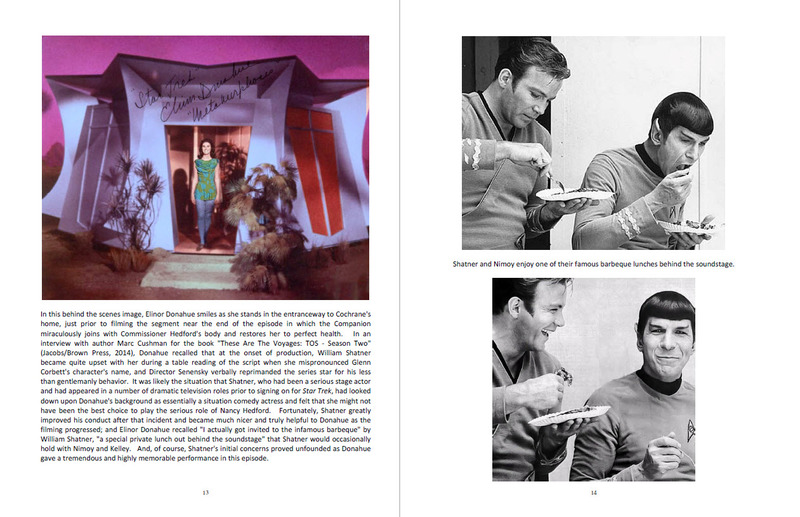 Presented below are some samples of the interior pages of "To Boldly Go - Rare Photos from the TOS Soundstage: Season Two" (just click on any of the following pictures to enlarge them). Additionally, this volume will appear on sale at Amazon.com (and international Amazon websites) sometime in the next few days at its full list price (but will likely be subject to free or discounted Amazon member shipping services or other offers). 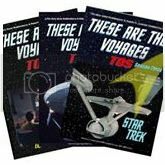 Please Note: The above Discount Code will not work at Amazon.com and is just a special incentive to make the purchase at Createspace, which is a wholly owned subsidiary of Amazon. 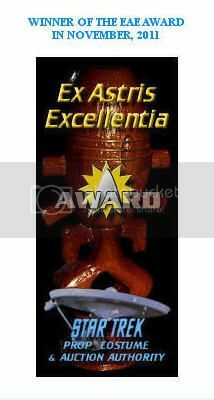 It is my hope that my fellow Star Trek fans who decide to obtain a copy of this work will be pleased with the presentation of, ideally, a number of rare TOS images that they have not previously seen, and that they will consider the Season Two volume of "To Boldly Go" to be an enjoyable addition to their personal libraries!